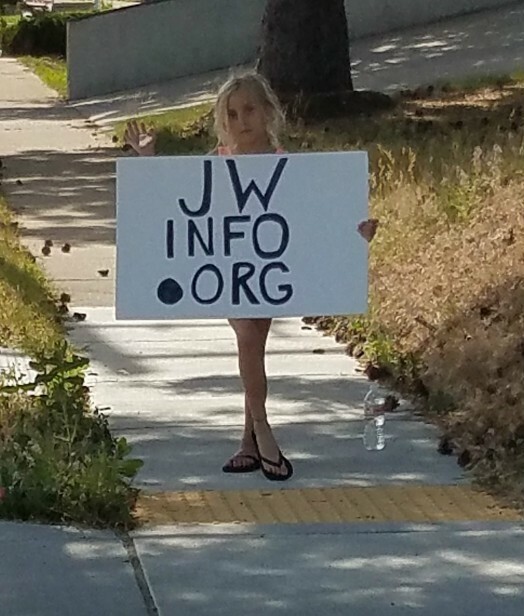 The beginning of last month, my daughter Charis and I went up to Ogden, UT to advertise our web site JWinfo.org to the Jehovah’s Witnesses leaving their convention. I went to advertise the next day as well. JW’s are very difficult to reach. However, there are always a handful of people in a crowd who are willing to be a little open-minded and see what someone else thinks... particularly in the privacy of their own home behind a computer screen! 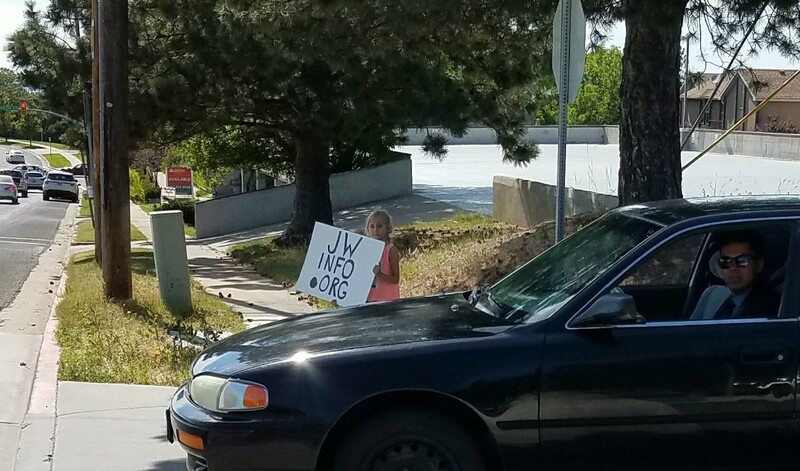 This was the first time Charis has helped evangelize at a JW Convention. You can watch a short video of what we were doing here. 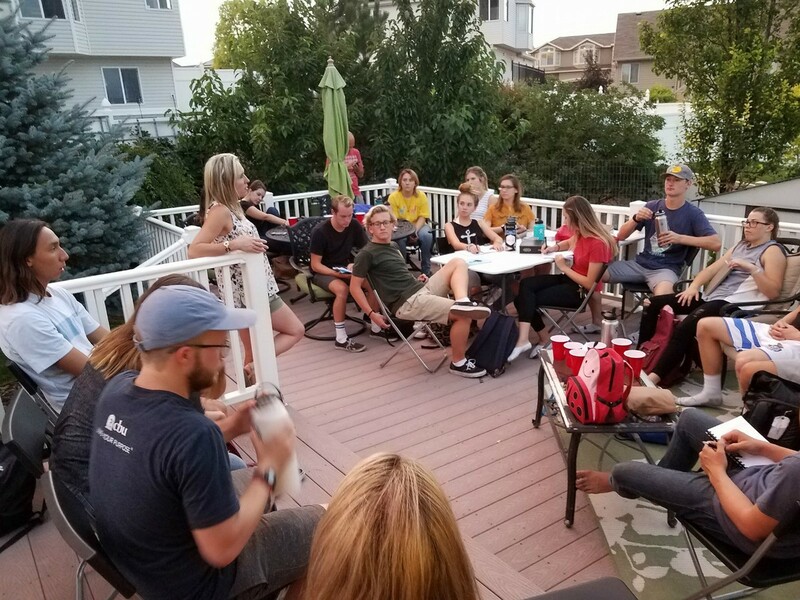 We hosted a youth mission team from our board member Brett Kunkle’s church in Irvine, CA. We had them over for a barbecue. Tara shared her testimony to the group and then I shared my experiences and fielded questions. We had our friend Rusty Dunbar share his story of coming out of Mormonism and coming to Christ at our last fellowship dinner. You may view the pictures here and the video here. We not only need your prayers, but we need your financial partnership as well. Keep in mind that your investment is not simply for us, but for the lives of others we reach with the gospel. The standard way to financially invest is by writing a check to Courageous Christians United (CCU). For more information on various ways to invest in this ministry, including online giving, please see our “Invest” page on any of our sites. Please keep in mind we have no financial guarantees each month. Ministry partners come and go. If you’re not a partner and are blessed by these monthly updates, please consider joining our team and let us know soon. We’d love to be your missionaries here in Utah. Many thanks to those of you who hold us up in prayer and in your financial giving! [One of my students on the MormonInfo.org class asked:] Sir, is it true Joseph Smith was "power- hungry"? Are there any instances that show his power hungry nature I can bring up when talking to Mormons? Smith had 34 wives, 11 of which were currently married to other men's wives. He put the power-play on Emma in D&C 132 to accept the other wives or be damned. Smith told 14-year-old Helen Mar Kimball that she would ensure the salvation of her family if she wed him: http://wivesofjosephsmith.org/26-HelenMarKimball.htm. Smith committed adultery with 16-year-old Fanny Alger, who was his house keeper. Smith was mayor of Nauvoo and Lieutenant General of the Nauvoo Legion. This latter designation was a step above what the leader of most common militias of the day were led by, viz., a major general. Smith made himself out to be a second Muhammad: http://www.inplainsite.org/html/smith_and_muhammed.html. Smith made a famous boast: https://carm.org/joseph-smith-boasted. He burned a printing press in an attempt to cover his polygamy and his polytheism. He wasn't led as a lamb to the slaughter when he justifiably fought back and killed one in the Carthage jail shot out. He invented his own currency and fined for running an illegal bank: https://www.pmgnotes.com/news/article/5061/Mormon-Currency/. He was also fined in 1826 for peep-stone gazing in purporting to find buried treasure. This same method was used in translating the Book of Mormon. Thank you again for meeting me in Texas so many years back. I have an urgent request...Is there anyway you can email me professional articles, a sermon link, or Hebrew references this week to support a man marrying a woman who has been divorced due to abandonment/infidelity oh his end and/or if he's a non-believer? I'm referring to Matthew 5:31-32, Luke 16:18, Matthew 19:8-9, & Romans 7:3. This has currently been an issue with me and another lady who has been abandoned due to religion and eventual unrepentant infidelity from the man's end. I try to explain grace, but I've come across so many men who see those verses as a means to write off potential marriage with myself and this other woman/friend of mine. This seems so contrary to God, Jesus, Grace, but I need solid supports. [I replied:] The best book on the subject that I'm aware of is Guy Duty's Divorce & Remarriage: https://www.amazon.com/Divorce-Remarriage-Guy-Duty/dp/0871230976. Thank you for the recent newsletter. It was an interesting encounter you had with the nonbeliever. I suspect you had an impact on him. Whenever you are planning to come to the …area, please let us know in advance. 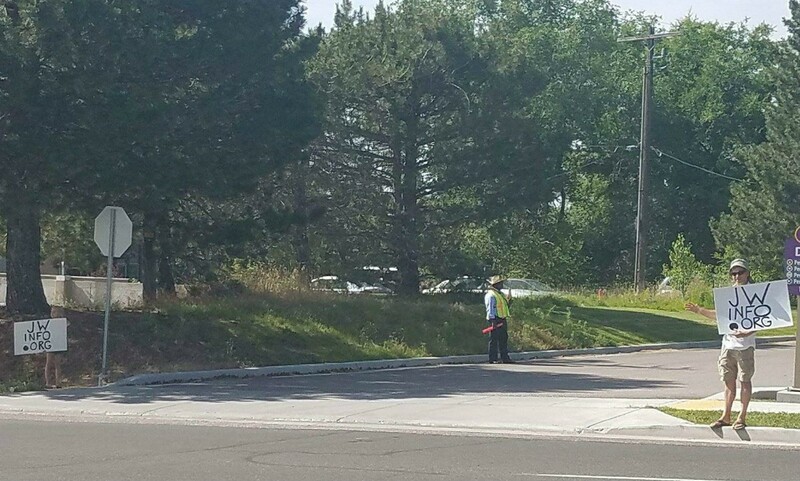 My husband… would be willing to come out and join you to share the gospel with Mormons. …do you know of any similar testimony including knowledge of the dark branches and associations and their roots behind the Mormon church? [I replied:] …the standard textbook on the occult and Mormonism is "Early Mormonism and the Magic World View" by D. Michael Quinn. [My friend wrote me about his friend T:] He is in the Hebrew Roots movement. He was born into a Jewish family. He believes in the deity of Christ, but he doesn't believe that the Holy Spirit is God. He believes that the Holy Spirit is a force that emanates from the Father and the Son. His point of proof about that was that the Holy Spirit doesn't have a name like the Father and the Son have names. How would you answer that ? I forgot to bring up that the Holy Spirit was prayed to in the NT. He would probably answer that by saying something like, "If you talk to me on the phone you talk into a phone, but the phone is not me." He doesn't believe in the Trinity therefore. He believes in the duality, but I just came up with that term, never having read or heard it, as far as I know. I guess there is another term for that. What is it ? He said the Father is God and the Son is God. He used the illustration of a mountain. The father is like a mountain and the Son is a rock from the mountain. [T] doesn't believe that we have spirits or souls that live on after we die and that we have to be resurrected to be back to ourselves again. I guess that's called soul sleep, but like the Seventh Day Adventists, if he believes that there is no soul or spirit after a person dies, I don't know why it's called soul sleep. It must be a misnomer, right ? He refers to people like Martin Luther who apparently didn't believe in the eternal state of the soul, and the Catholic church with their false doctrines, to throw the person that he's debating off. [T] believes in the Old and New Testaments as being God's word. He has some different interpretations from Evangelical Christianity though. His debate style is like the martial arts Judo or Akido, where he throws peoples' arguments and train of thought off balance by talking fast and firing off scriptures mixed with some historical and denominational facts. Although the extra Biblical facts might be true, they don't have anything to do with the Biblical exegesis of the doctrinal subjects. [T] brought up how the early resurrections of Moses, Elijah, and Enoch must be exceptions, as they appeared to Jesus, Peter, James, and John on the mount of transfiguration. I've never run across anyone like [T], who although he believes in the deity of Christ and the inspiration of the New Testament, chooses to declare that he's not a Christian. He says he knows Hebrew, and I think he said that he knows Greek too, because he said, "I can show you from the Hebrew and Greek..."
If you're up to a spirited debate sometime with [T] on the phone to possibly help him correct some of his views and help to keep your mind sharp, we could do a three-way call. I would probably mostly listen. [I replied:] Given my schedule and interests, I'm not wanting to do more research into this group. I'm also not interested in a debate with someone who seems as locked into his position as you're making him out to be. If you are enjoying that, then please continue. If he's open-minded enough to read your position, then I suggest you pass along https://www.blueletterbible.org/Comm/torrey_ra/fundamentals/34.cfm. The Holy Spirit has a name. He's called the "Holy Spirit" as well as other names. Where in the New Testament is He prayed to? I do pray to the Holy Spirit, since by inference, He's just as much God as the Father and Son are, and we pray to God--F, S, and HS. Since your friend's argument isn't any good, and since the HS has all the characteristics of personhood, He's a person. I also wouldn't waste time on the doctrine of eternality of the soul, since one's salvation isn't determined by it as the former is. I'd also not waste my time with the syntax of the term "Christian." The semantics of following Christ is much more important despite however one identifies himself. [He replied:] [T] wrote in reply to me when I wrote him what you wrote, "That is a title. Holy is an adjective defining Pmeuma or breath." What do you say to that ? Where in the New Testament is He prayed to? I'm still looking for that. [I replied:] Just because Holy is a title doesn't entail we aren't talking about a person. It depends on the thing being described. Holy Father obviously refers to a person, but we have all the reasons I sent you from that Torrey article to believe in the personhood of the HS. [My friend replied:] Do you know Greek ? I don't. [T] claims to. So did Rutherford of the Watchtower---but he didn't. [T] thinks he knows something that discounts what I wrote below. What do you think ? [T said,] “If the Holy Spirit is the Spirit of the Father and of the Son, it can have all the emotions of the Father and the Son. It is not that complicated. See Rom. 8:9. "You, however, are not in the realm of the flesh but are in the realm of the Spirit, if indeed the Spirit of God lives in you. And if anyone does not have the Spirit of Christ, they do not belong to Christ." [I replied:] I had 2 and 1/2 years of Greek at the university level. When the verses talking about the Spirit being of the Father or Jesus they are simply in the genitive case. The rule they tell you over and over again when taking Greek is context, context, context! Simply citing the genitive case does nothing in telling you whether the HS is a force or a person. Other work from the context has to be done. Angels can be of Satan or God. They are spirits. But no one would claim they are simply impersonal forces. So, again, you look for what the Bible teaches about the thing being described. It clearly teaches the HS is another person, but not a separate one. In John 14:16-17, Jesus calls the HS "another comforter" and by the 3rd person singular "He" not the neuter "it" (if Greek is really the trump card here). Again, there's no good reason to think the HS is merely an impersonal active force like electricity. [T replied:] I have had 3 years of Greek and was a Greek reader for my professor as I had the highest grades of anyone in my class. I graded all the papers for the students. All the verses you sent still don't give me a name of the holy spirit. Also when Yeshua says He will send another comforter-in CONTEXT-right after in the same chapter Yeshua tells the disciples that He will come to them and both He and His Father will come and dwell in them? How is that possible if they both don't have the same Spirit? So if the Holy Spirit is a separate person these verses are impossible. The etymology of the word in both Greek and Hebrew is "wind, breath, spirit." Demons and Yahweh's angels are personal beings with a personality because they are also called angels and or created beings of a higher order than humans. The Holy Spirit is never referred to as and angel. Lastly as I mentioned many times the Holy Spirit is referred to as The Spirit of Christ or of God. It is not a separate person. In the tabernacle and and the temple afterwards at the dedication, the shekinah glory of God filled the temple so much so that the priests were not able to enter. This was the Spirit of God-His very essence filling the temple. Ezekiel saw this same essence in the temple in chpt. 1 and in chpt 10 he saw it leave the temple. It was not a person he saw leave it but the breath, wind, essence, and spirit of God. The Spirit of God is never worshiped in the Bible separate from the Father. Trinitarian's are committing idolatry and are breaking the first commandment if they are worshiping the Holy Spirit as a separate person. There is only one God, the Father and He has a Son. The trinity doctrine is a doctrine of Roman Catholicism and was brought in from Babylon if you trace its history. It is the very reason why most Jews want nothing to do with Christianity as it wars against Deuteronomy 6:4 "Hear O Israel Yahweh is our God Yahweh is One." The trinity is the most convoluted ridiculous lie that was ever invented by Satan to get God's people into idolatry. [I replied to my friend:] This is obviously a waste of my time. You should be able to figure out these arguments (these are the same arguments JWs use), but the problem is that [T] isn't interested. His mind is made up. So I'm not going to throw pearls before swine any longer. I've got a lot better things to be doing. I'll leave you with these last thoughts. [T] is still going back to the HS doesn't have a name argument. Already dealt with that. Further, even if it's the case that the HS doesn't have a name, how in the world does that imply He's an It? Any kid born without a name is an it until he or she gets a name? What if he or she is never named? They are just called "another Comforter." [T's] argument strikes me as unconvincing and silly. Jesus and the Father will come via the other comforter that they will send, viz., the HS, who He identifies in the the 3PS [“He”] not neuter "It." And the latter wasn't dealt with. [T] also gives a straw man, since he assumes we claim the Father and Son come to dwell in us yet without the HS. In fact, we do believe they live in us via the HS, since that's what the Bible clearly teaches. However, the Bible also clearly teaches that the HS is "another comforter" who is a "He" not an "It." [T] uses another straw man when he claims that we think the HS is a "separate" person. We've never said the HS is a "separate" person. We've only said He's "another" Person. The reason for that is the same reason why [your friend] apparently holds that God is eternally not just the Father, but the Son. That is, both are obviously persons who are called God, and yet there is only one God and they aren't *separate* Gods. They are different persons who eternally are the only God there is. The same argument [T] uses against the Trinity is the same argument that may be made against his view that God is made up of only the Father and the Son. [T's] Deut. 6:4 argument against 3 also cuts against his 2. His argument about the HS never being referred to as an angel completely misses the point. [T's] point was that simply saying that the Greek says the HS is "of" the Father or the Son makes the HS not a person. That same argument would also make the angels not persons, since they are also "of" (Greek) God. This is what's known in logic as an argument absurdum. It reduces [his] argument to absurdity. Since it demonstrates that pulling the Greek genitive has nothing to do with anything here. Of course we aren't claiming the HS is an angel. We're simply claiming He as well as the Son are "of" God and that they are both still persons and they are persons who are eternally God. The Son is of the Father, but that doesn't make Him a "separate" person. [Your friend] would agree with that. It makes the Son certainly another person. And likewise, it should also make the HS another when Jesus says as much of "Him" not "It." Finally, [T's] typical cultic historic argument is one big genetic fallacy. The origins of a belief, even if that's really where it comes from, don't determine that it's false. If it does, then learning that 2+2=4 from a witch would count against it! OK, I'm really done with this. I feel like I'm regurgitating too much here and most of this is standard stuff you should be able to deal with. [My friend replied:] Since [T] is pretty set in his ways, it could be a waste of your time---as far as he is concerned. You helped me quite a bit. Thank you very much for you responses. I think you've stimulated my neurons. It's true that Jesus said to not cast our pearls before swine. I forwarded what you wrote to Thomas, (not about pearls before swine), so maybe not all of what you wrote will be a waste. He clearly commits logical fallacies. I didn't realize how many until you pointed them out. [I replied:] Well I'm glad that at least you benefited from the exchange. [From a commenter named “Eyes Beginning to open,” who left the following on my False Prophecies page of MormonInfo.org:] First off having been raised and lived a life faithful to the LDS church, I often thought anti mormon information was simply false information spewed from the mouths of bitter and angry people. I have found that is simply not the case. All the Anti mormon information I had heard about growing up has now ALL been admitted to be true by the church. Apparently yesterday's prophet is today's heretic. examples of anti mormon literature was that Joseph smith had multiple wives, Brigham Young taught the Adam - god doctrine, Joseph had multiple first vision accounts, Joseph Smith using the peep stone in a hat to translate the BOM etc etc, all and I mean all of this has been proven and admitted as truth. Before you go and call things like this Anti Mormon CRAP, read about the whitewashed real history of the church, read the facts because I have found that is all alleged Anti Mormon stuff is, just facts from Church History and Facts about events that transpired and Facts about doctrine that was taught and later rescinded by the church.